Short yet very pleasant and picturesque trail! Great during wild-flower season! Features and Interests: Long prairie walks with hidden caves. Trail Description Starts of with a short walk along a cliff, then drops off into a canyon trail. 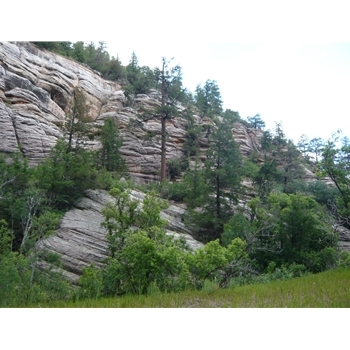 This hike spends majority of the time in the canyon, winding through prairies and wooded areas exposing some very deep caves! Nearing the end is a 2 mile protected area which is highly recommended but do not stray off the path in preservation.